Telstra ends free Wi-Fi trial, launching Telstra Air - jxeeno™ blog. This coming Tuesday, Telstra will end its free nationwide Wi-Fi trial and launch of their new nationwide Wi-Fi offering “Telstra Air”. The network, which claims to be “Australia’s largest Wi-Fi network”, will allow Telstra broadband customers to use their broadband allowance where there is a Telstra Air hotspot available. The company has also signed a deal with international Wi-Fi provider Fon to allow Telstra customers to continue using their fixed-line data allowance in overseas destinations including UK, Spain, Brazil, Japan, France and Germany. In order to join Telstra Air, Telstra home broadband customers must be willing to share part of their broadband connection as a Telstra Air hotspot too using a compatible Telstra gateway. Telstra claims that over “a million home broadband customers already have a Telstra Air-ready gateway”. These gateways include the Telstra Gateway Max™, T-Gateway®, and the ADSL Premium Gateway. Once enabled online, activated gateways will also transmit the Telstra Air hotspot signal for use by other Telstra customers. This seems pretty cool. At a local level, imagine rocking up to your friend’s place, and you’re both Telstra broadband customers. Firstly – you won’t need to ask for the Wi-Fi password. Secondly, you won’t have to worry about your friend using up all your data allowance, or them hacking into your network. Also quite awesome is that by enabling Telstra Air, it unlocks the millions of Fon hotspots around the world. Essentially, Fon’s network works exactly the same as Telstra Air – on a Worldwide scale. Customers purchase Fon-compatible routers from Fon or a partner carrier, and once connected, can have access to other Fon hotspots worldwide. That said, the bad news is that the Fon network is now locked out for all non-Telstra broadband customers in Australia. To be honest though, I’d be really interested to see how the technology (at the gateway level) works behind the scenes. 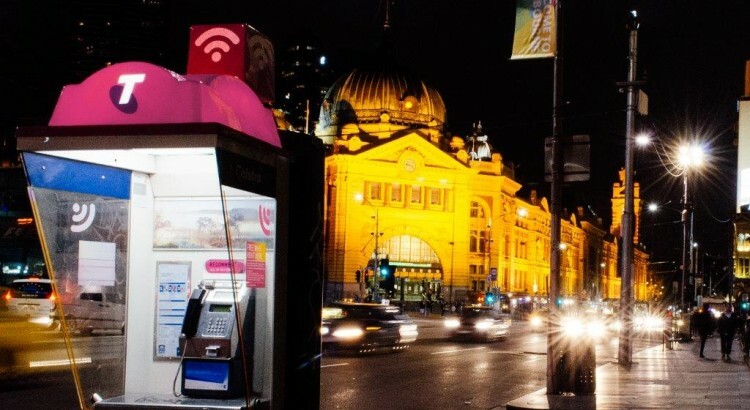 One final piece of food for thought – Telstra’s payphones are partially funded by a levy paid for by the Telecommunications Industry as part of a contract deal between TUSMA (now part of the Department of Communications) and Telstra. $44.0 million was paid to Telstra during the 2012-13 financial year for these services. We know that similar rollouts have been seen worldwide, where telcos take advantage of their existing payphone infrastructure to deliver hotspots. I know that the TUSMA contract does not directly subsidise the rollout of the hotspots for the payphones – but on the surface, there does look like there may be conflict. Is it fair on the wider industry who pays the levy, given that Telstra now gains a competitive advantage on them by rolling out Wi-Fi hotspots on infrastructure they partially funded? It does seem pretty cool except it doesn’t work. I am in Paris and despite signing up for Telstra Air in Australia prior to my departure and successfully testing it, I can’t log on to any FON networks despite being in the heart of Paris. If it doesn’t work here, god knows where it does work. Since I have been having this problem google searches only provide results with people with the same problem, I am wondering if anyone is getting it to work? I will be deactivating my Telstra Air account when I get home – no point if it doesn’t work. Hype and over-promising it appears.